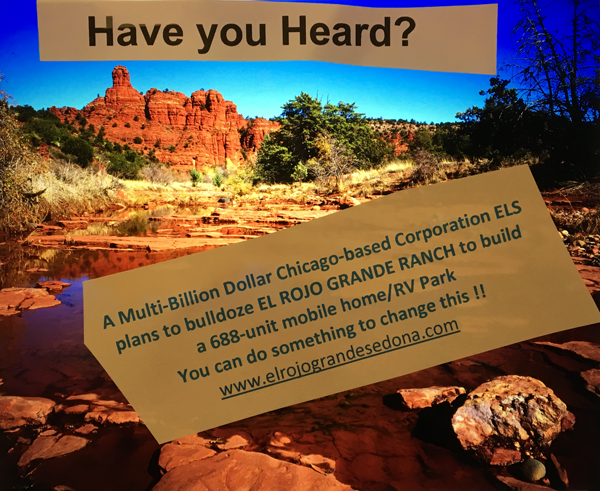 Sedona in Motion (SIM) Council plan dumps tourist traffic into subdivisions to create profits for tourism business owners while destroying quality of life and safety for Sedona families and elderly writes traffic engineer John Roberts, a Sedona resident. City staff and council are fully backing this SIM program aimed to relieve the congestion in our roadways. The overall project is to reconstruct some of the roadway system which serves us. Both the Chamber of Commerce and the Red Rock News favor it. Some residents back it too. But a strong number in town strongly oppose this $30 million 10 year program. That’s why I became interested in learning more. Right now what is missing in the city’s program are the plans and specifications from engineering firms. This is what contractors must use to prepare their bids for the costs of doing the work and then to execute work contracts if awarded the job. One engineer has been hired so far and is working on the preliminary job of fact finding and determining how to begin with design work. Their assignment is for the uptown problems. This always takes time and can last for months and even years. That means we won’t know the engineer’s decision about roadway changes they’ll recommend to the city ’till design is finished, and plans and specs are available for us to review. But that hasn’t deterred city staff and residents from voicing opinions about roadway changes. That is where I became interested in looking into some of these ideas being floated. One site is uptown 89A with a remedy plan touted by city hall for attention and action. A part of their plan is to add a new ( 3rd ) southbound lane to help handle canyon sourced traffic flow into uptown Sedona headed for the “Y” roundabout. On that side of 89A there is sidewalk, stores, parking, space to safely exit parking slots, backwards, for entry into southbound traffic and two lanes of southerly headed traffic. However, I could find no spare space anywhere there to build the 3rd (relief) lane for traffic. I am amazed at this glaring oversight by the city and even more so because council has authorized spending $3.4 million for this uptown part out of the total estimated SIM cost of $30. What on earth was the council thinking? Spend tax revenues for a road to be built on fictitious land? Or maybe just as crazy they intend as a fall back plan to cancel out parking space to use for this new lane. Can you just imagine the merchants reaction, that of their lawyers, and or all of us, if this were to develop? Whatever, reality is that the council and staff have a huge gaping hole in their planning. Not very swift ! The other SIM proposed site I visited was the “Northview” parallel roadway intended to relieve the main road 89A of some of its traffic load. The plan would divert vehicle traffic from 89A onto this parallel roadway in this subdivision’s roadway system. Right now it is a quiet and safe place for families to enjoy – just like when they found it when they bought their homes there. To criticize any of them for complaining about the new traffic loadings as NIMBY is thoughtless, because this traffic invasion is nothing but “in your eye” misbehavior by the city SIM planners. Why should these people suffer the disruption just to benefit the tourism business owners with more profits. The noise, added pollution, and increased accident danger to children and elderly, hardly makes it a fair trade-off. If this will be typical of the city staff and city council planning then Sedona in Motion is a dead duck. The only possible hope, at this moment, is for competent engineering to maybe get things straightened out. Since that’s a monumental task with very long odds for success, I would much rather we voters first clean out city council membership (but not councilman John Currinan). We must stop the goofball council thinking now present. The August (28) ballot includes voting for 5 city council seats and a mayor. That would be a really good restart with such city hall changes. Then hopefully have a chance that Sedona In Motion can become a success. John you have so much wrong in what you wrote.. Please take the time go to the city and see the plan….You are so far off its a joke…Go to one of the meetings, talk to people! And by the way the only thing running parallel with 89a is a bike and pedestrian path….God you need to understand the plan before you speak! I’ve wasted some of my time sitting though the presentations. The essence of it is “if it removes only a few cars from the main roads it is worth it.” So, spend $30 million of your money on a boondoggle. 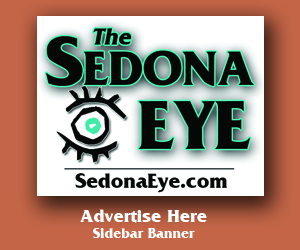 Why, because the Current City council and the Sedona Chamber screwed things up so bad the feel they must do something. It does not even really have to appear to work, as Mr John Roberts article indicates. They are worried. They stole all my signs in under 24 hours. YOU need to talk to your neighbors. Vote in Tony Tonsich, Sam Tardio and Noelle Julian. You have not answered me? I do hope you took some time and went to city to get the “low down”? Why the SE even keeps your opinion piece posted is beyond me!….Nothing factual, just another uninformed opinion…. Please show us all these subdivisions that are effected? Thanks we are waiting……and if you are really energetic, help explain how voting NO to home rule will help our traffic problems! John Roberts no doubt was referring to the connector roads to which the City received such backlash they have backed off for now. They are destroying neighborhoods. Through the same neighborhoods south of 89 they now plan a paved bike path all the way to Sunset Dr. They plan to destroy the environment and install culverts in the ancient wash through all of them, the cover up and pave it. For what? For those who “might” like to ride a bike but, afraid to in traffic. The wash has never flooded any private property and the water in it after a monsoon is substance for wildlife, the smaller creatures we don’t see and for the vegetation either side. The cost: $l.3 million per mile. Same plan for the north side of 89a but, that does not involve a wash. With so many vacation rental everywhere it will be tourists who will use the bikes in those homes and take a “leisurely ride through Sedona’s quaint and quiet neighborhoods”. SIM also wants to destroy my Uptown neighborhood with extreme traffic changes for no justified reason and lies to defend the plan which I will write about separately. The City plans to spend $34 million on future bike paths through Forest Service land but, having to access through residential neighborhoods. All on the SIM website. It is frightening. Another INVASION into a residential area where we are all happy with the way it is now. City may have backed off for now or is hiding it in a back room! Don’t trust them. I know some of these people and I know what they say in private. VOTING NO is your only control over your neighborhoods. BELIEVE IT !! They’re destroying my neighborhood, they are setting to destroy yours. Pay attention Les Springs! You better be voting NO or wait to see what surprise is in it for you. Pay attention Foothills South, you better be paying attention and Vote No or wait to see what else is going to destroy your properties! Chapel area you’re slated for road access! VOTE NO. SEDONA, Ariz. – The Sedona City Clerk has informed proponents of a citizen initiative to establish a permanent base adjustment to the city’s expenditure authority that their proposal has failed to qualify for the Nov. 6 ballot. The proposal failed following completion of a comprehensive review process as established by the Arizona Legislature with guidance from the secretary of state. The final phase of the process included receipt of random sampling results from the Yavapai and Coconino county recorders which resulted in a determination by the city clerk that 16 percent of the petition signatures are invalid. The projected number of valid signatures that remain is below the statutory requirement. Proponents of the permanent base adjustment sought to place a proposal on the city’s general election ballot to establish a permanent expenditure limit of approximately $25.2 million subsequent to the Home Rule vote scheduled for the Aug. 28 primary ballot by the Sedona City Council. The process for removing petition and ineligible signatures is governed by Arizona law, A.R.S 19-121.01-04. The city clerk first removes petition sheets that do not meet requirements for form. After this process is completed the clerk reviews the sheets to determine the county of the majority of the signers and removes all signatures of those not in the county of the majority on each sheet. Then the signature sheets are grouped by county of registration of the majority of those signing. If the signatures that remain meet the constitutional minimum, the city clerk requests that the Yavapai and Coconino county recorders check specific signatures among random-sample sheets for verification that the signer is a qualified elector. In the case of an initiative, including the Sedona permanent base adjustment initiative, this is a random sample of five percent. The signatures selected for verification by the county are randomly generated by the Arizona Secretary of State. The city of Sedona will conduct its 2018 primary election Tuesday, Aug. 28, and the general election, if necessary, Tuesday, Nov. 6. The city sent Segner this? Of course the city sent the petition results to Segner @PCSedona. Would you have expected otherwise? He has them all in the palm of his hand. However one must wonder why in the world those circulating the petitions apparently weren’t aware petition signatures must be county specific. What a waste of time. This makes it even more important to VOTE NO ON HOME RULE. PLEASE! Arizona Liberty, a local political action committee, is filing a lawsuit in Yavapai County Superior Court against the City of Sedona for illegally invalidating its citizens’ initiative to place a Permanent Base Adjustment on the November 6, 2018 ballot. What bothers me is apparently this is Sedona City Staff protecting you from your right to vote on something. They are using a technicality, real or not, to keep you from voting on a choice. It makes you wonder who they are working for. It is quite clear it is not the voters. Cut their excessive spending and staffing off. Vote No on Home Rule. No to incumbents who allow this outrage. No Tony, what bothers me is being disingenuous! Signs that say voting No will improve traffic!…..No explanation?..Because there isnt a way to fix traffic unless its addressed! 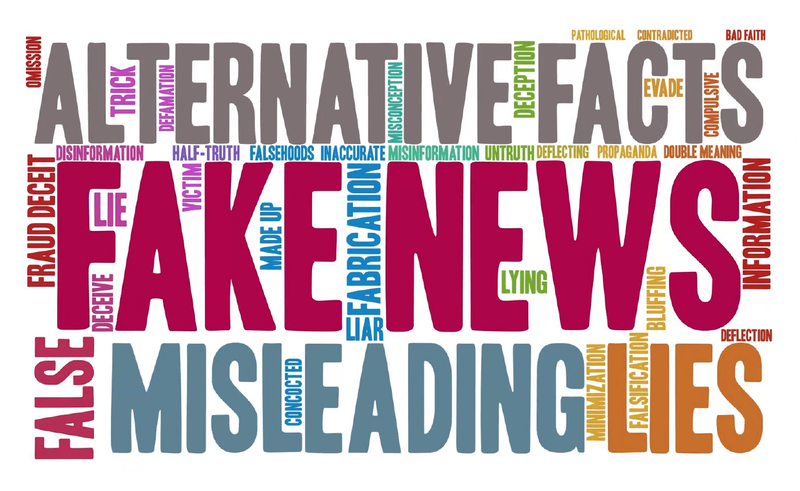 You have opinions telling us about roads going through North side of 89A, but there is non!…..
All us regular people have seen, and heard enough…..The lies, the hate, the smearing of people…. AZ Liberty is perfect for SE… as they seem to be crybaby losers like the usual posters here on SE. Maybe someone should tell you two geniuses that The Tea Party disbanded years ago. Today, if the you search “Tea Party” you’ll find it’s a Canadian Rock group. As to the disallowed signatures by the City Clerk on the Permanent Base Adjustment ballot issue you had better not count your chickens before they hatch. This issue will be decided in the court room… not in the City Clerk’s office.